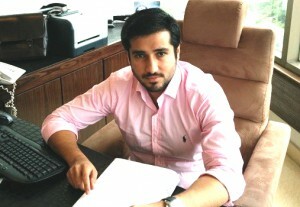 Mr. Asad Mirza is an entrepreneur and real-estate specialist best known for founding one of the leading online property sale/purchase portals of Pakistan www.homespakistan.com. Mr. Mirza, a graduate from London’s prestigious university, serves Euro Asia (Pvt) Ltd. as the director; of which homespakistan.com is a venture. After spending around fifteen years in London, United Kingdom, he moved to Lahore, Pakistan with the enthusiasm and aim to empowering people with all the information they need to making better property decisions within the region and beyond. Sameer Malik: In the past few years, we have seen a significant boom in the real estate industry across all key cities of Pakistan however the prices now seem to have dropped. Is it so? Will the scenario be different in the forthcoming days? Asad Mirza: The prices haven’t dropped down but are stable for now. However, the Stamp Duty and CVT have significantly affected Pakistan Real Estate Industry’s sales & purchase activity. If the situation of increased taxes by the government of Pakistan prevails along with political unrest, there’s a risk of investors quitting the industry in the forthcoming days. This situation will eventually affect the market negatively, and property prices may drop down. Sameer Malik: Can you tell us about the areas of Lahore that have more potential in terms of residential property buying or selling? Which residential areas in Lahore would you recommend for investment as well as for home construction? Asad Mirza: DHA and Cantonment (Cantt) are the areas of Lahore with more potential in terms of residential property buying and selling. In fact, I would say that all phases of DHA as well as Cantt Lahore are undeniably the heart of Lahore city. Sameer Malik: In your opinion, which plots are being bought and sold more w.r.t residential property in Lahore? Is it 5 marlas, 10 marlas, 1 kanal etc.? Asad Mirza: In my opinion, 10 marlas and 1 kanal are the most demanded residential plots in Lahore. Sameer Malik: We are all aware of the growing trend of apartments for residential purposes across the city of Karachi due to overpriced land and we have seen a couple of construction firms building residential apartments in Lahore as well. Do you think the price hike of land in Lahore would result in changing the trend from homes to apartments in Lahore in the near future? Asad Mirza: Yes, the price hike would definitely result in changing this trend. The new projects like T27 Tower, Maisonette, Mall of Lahore etc. have received good response from wealthy investors and property buyers across the city. Though the natives of Lahore are not much fascinated by the idea of moving to apartments from homes, yet those moving from Karachi, Faisalabad and other cities to Lahore seem to be more interested in purchasing apartments for the residential purpose. Sameer Malik: What trends do you see for hiring the services of an architect for construction in Pakistan or interior designing of residential property? Is there growing awareness among people for it? Asad Mirza: Yes, I’ve noticed a growing trend of hiring architects and interior designers among common people in Pakistan nowadays. As all of us admire homes, intricately festooned by professionals in comparison to the ones, decorated by the family members. Sameer Malik: Speaking about commercial property, which areas of Lahore would you recommend property investors and builders choosing; to ensure adequate return on investment? Asad Mirza: I would recommend DHA and Johar Town the most. DHA mostly for residential whereas Johar Town for commercial purposes, despite the fact that the both societies offer commercial and residential properties. Sameer Malik: How much has the current political crisis in Pakistan affected the real estate industry across the country? Asad Mirza: Currently, a lot! The protests and sit-ins have had a greater impact on Islamabad Property market in terms of buying and selling than in any other city. The investors are waiting for the political crisis to settle down before they could resume their real-estate business activities. Sameer Malik: From which cities of Pakistan do you get more queries for buying land? Asad Mirza: Mostly from Islamabad, Karachi, Faisalabad and Sialkot. Sameer Malik: Which housing society do you think is more popular in Lahore in terms of buying and selling? Asad Mirza: Defence Housing Authority (DHA) and Bahria Town. Sameer Malik: How many people in major cities of Pakistan do you think are purchasing land just for investment purposes and how many of them are purchasing for construction purposes? Asad Mirza: According to my analysis, approximately 70% of the people in major cities of Pakistan are purchasing land for construction purposes whereas only 30% are purchasing merely for investment.